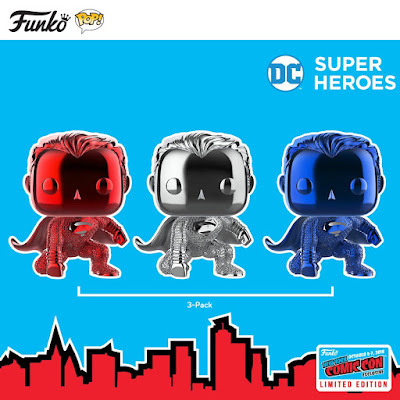 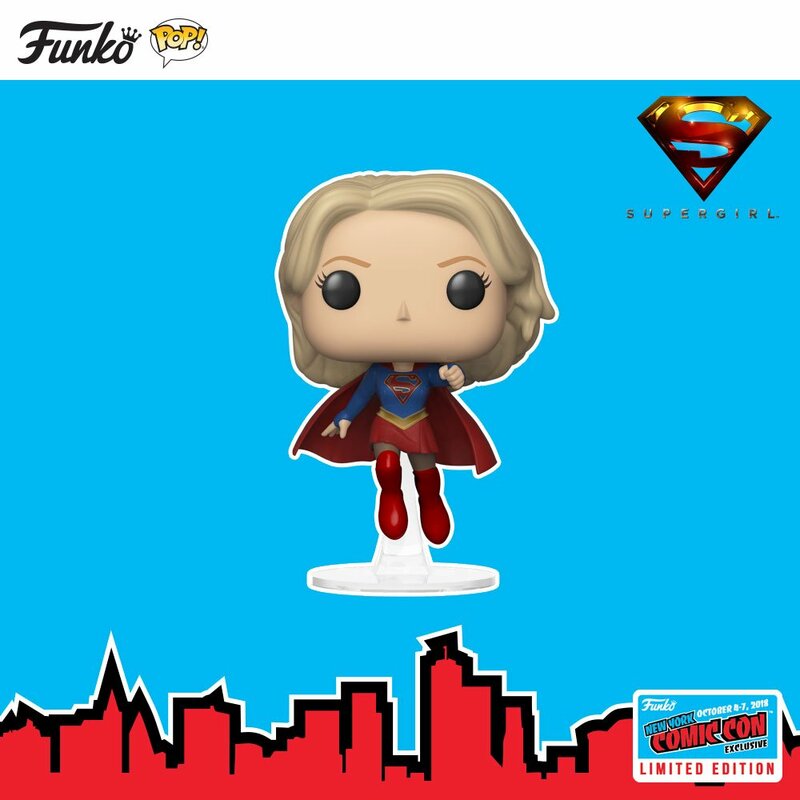 Funko has announced a wave of DC Comics themed New York Comic Con 2018 Exclusive Pop! 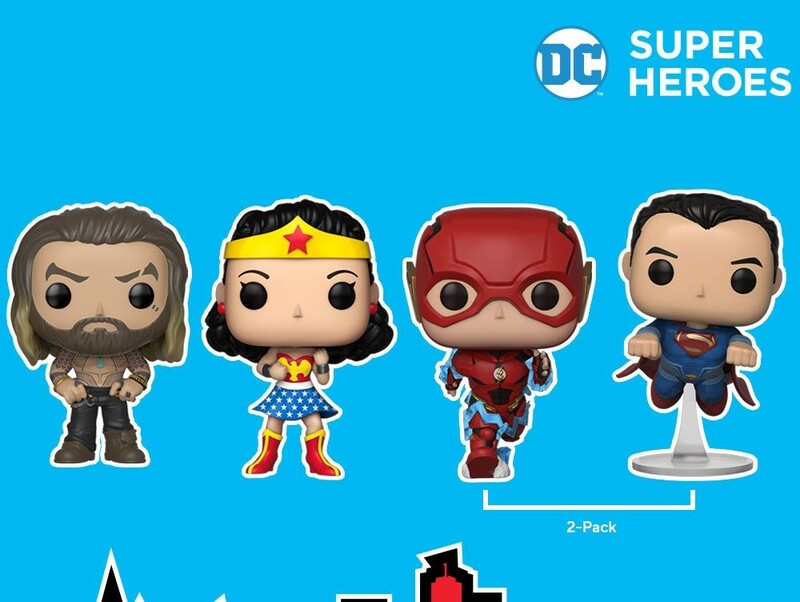 and 5 Star vinyl figures! 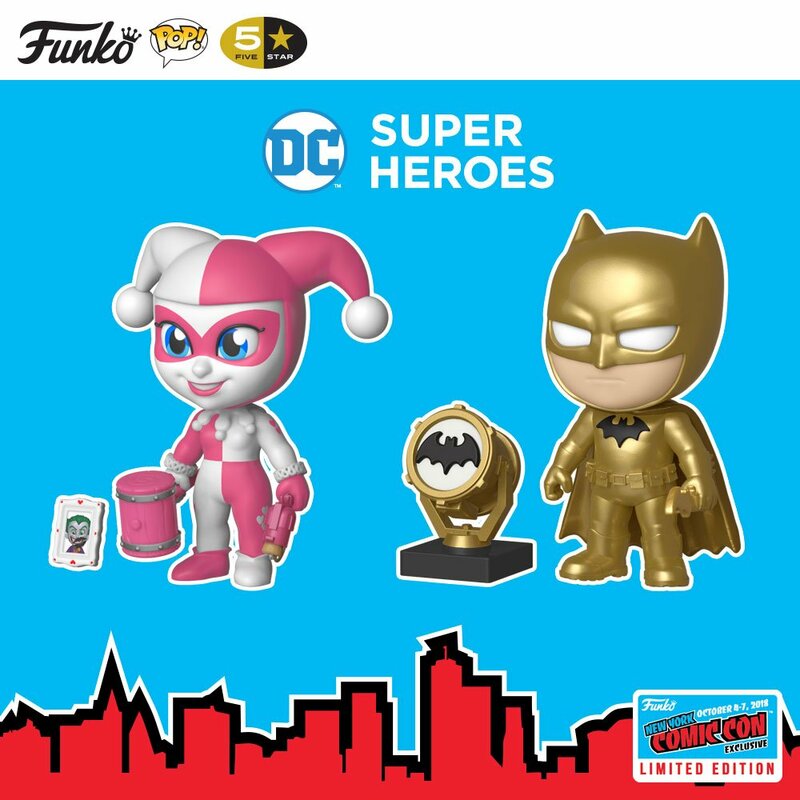 What would New York Comic Con be without DC Super Heroes and Super Villains? Check out this exciting DC Comics exclusives: Aquaman Arthur Curry Pop!, 1st Appearance Wonder Woman Pop!, The Flash and Superman Racing Pop! 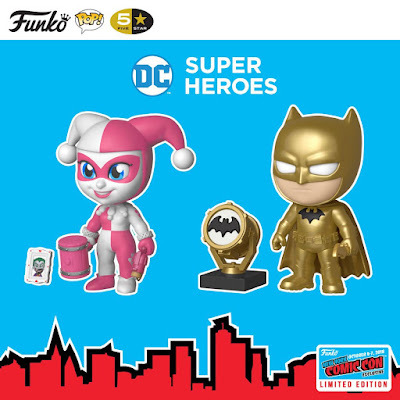 2 Pack, Justice League Chrome Superman 3 Pack, Golden Midas Batman 5 Star, Pink Harley Quinn 5 Star, Teen Titans Go! 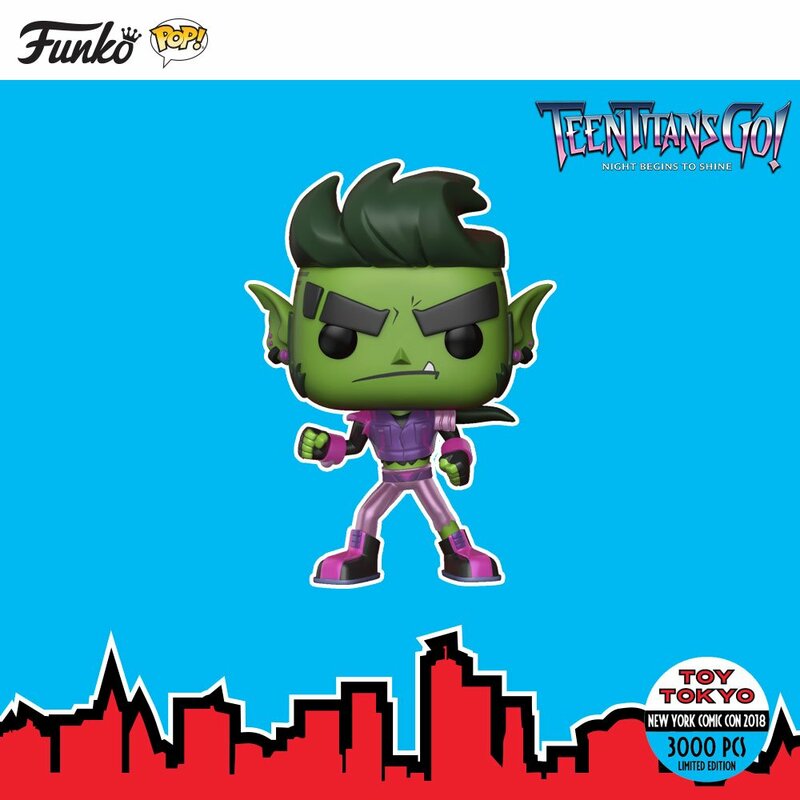 Metallic Beast Boy Pop! 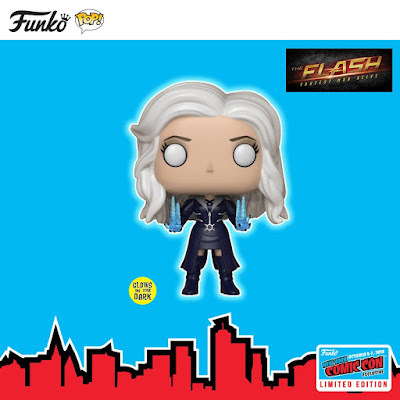 (LE 3,000), The Flash Killer Frost Pop!, and Supergirl TV Series Pop!